Through 5/18 Stop & Shop has Muscle Milk 15g Protein Bars (blue) on sale for $1.50 each! They also have the Muscle Milk 20g Protein Bars (Red) on sale for $2.00 each! 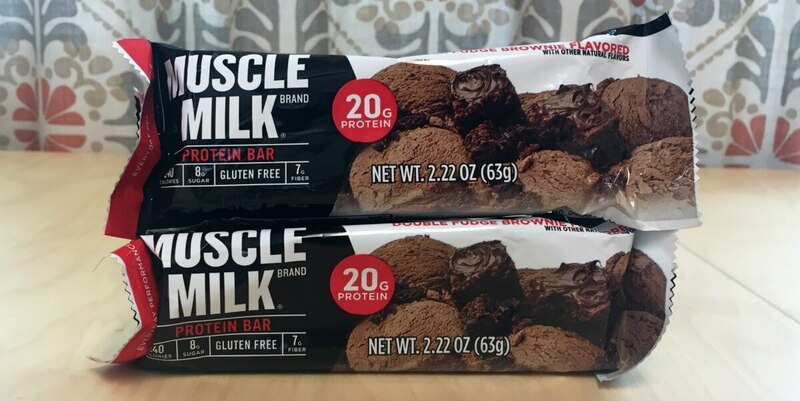 We have this awesome $2/2 MUSCLE MILK PROTEIN BARS, 1.76oz or 2.25oz printable coupon available. After coupon pay as low as $0.50 each! But we’re going to sweeten this deal a little more! We also have this great $2/2 Muscle Milk Bars. Buy 2, any size, of the following varieties only: • Blue Bar – 15g Protein • Red Bar – 20g Protein (Various Stores), Ibotta Rebate available for extra savings! We can do either deal and score the bars free, but if you buy the Muscle Milk 15g (Blue) Bars, you’ll score a $1.00 money maker since there on sale for $1.50 each. Giant – Martin Shoppers check your local stores for a similar deal! as low as 2 FREE + $1.00 Money Maker!